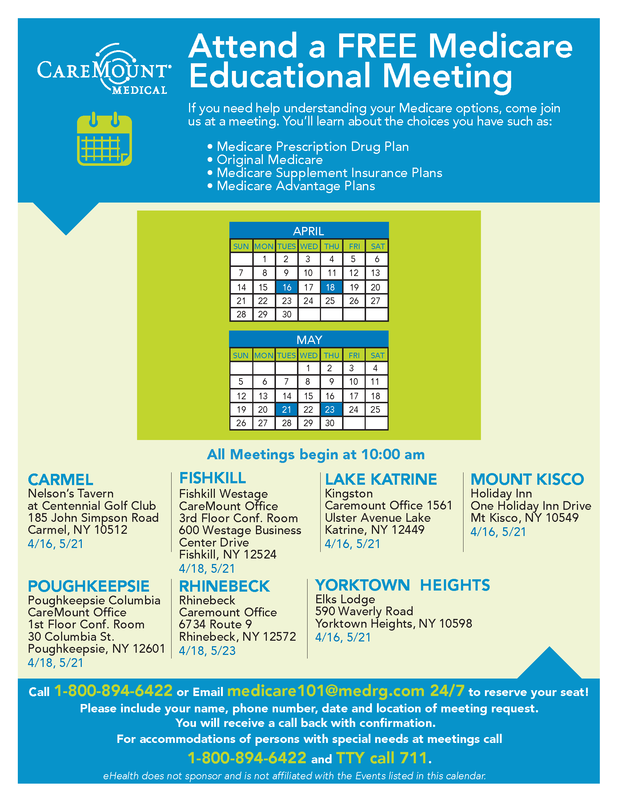 An Easy Way to Shop for your Medicare Plan. CareMount Medical has partnered with eHealth to help our patients find the Medicare coverage that best meets their individual needs. Their licensed insurance agents specialize in Medicare and understand the Medicare plans we accept.